This orange cat is wearing a green hat and bow tie. 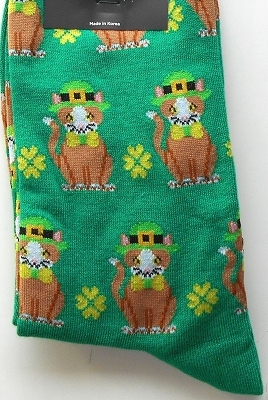 Four leaf clovers decorate these lucky St. Patrick's Day socks. The socks are 47% cotton, 28% nylon, 23% polyester and 2% spandex. Fit women's shoe size 4 - 10 1/2.